Free download MiniTool Photo Recovery latest version 3.0. 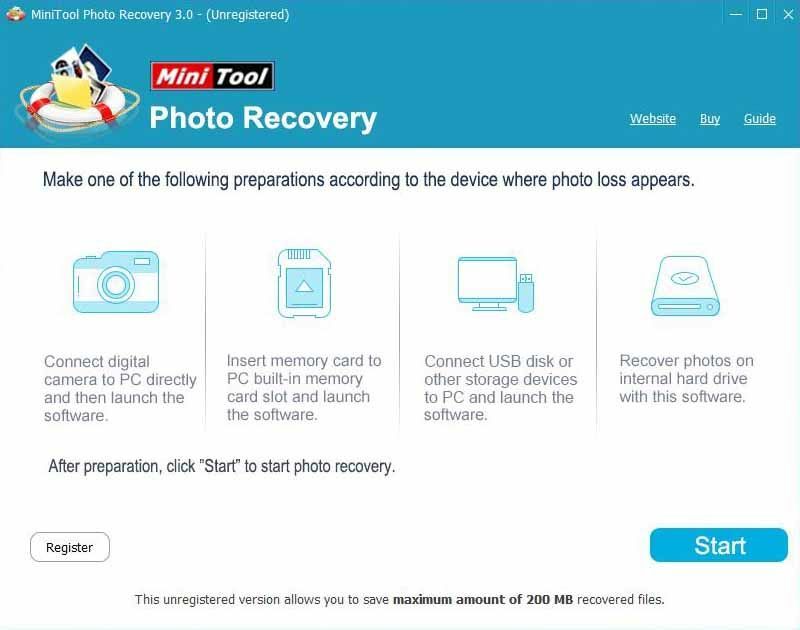 MiniTool Photo Recovery is the software which helps the users to find and recover photos lost from digital camera, computer, memory card and many other external drives. By its scanning features and an intuitive interface, it can have the users’ photos back to them in one piece, regardless of how they lost them. If the users know ahead of time anything about the file types of the image files which they are searching for, they can use that information to target their scans before that even begins. The users find, this results in quicker scan and more relevant results. The users have also the option that they can filter results after the fact by either extension or by file name and by file size by entering a range. For loading through the app previous scans remain available, so that if the users realize there is something they want to go back and find on a device they have scanned before then they have no need to start a brand new scan over again. This thing saves lots of time and allows the users to get the results they are looking for quickly. For the users there is a nice User Guide which goes with this program and to access this guide there is only way to go to the product page directly and follow a link from there, that users might not think to do.